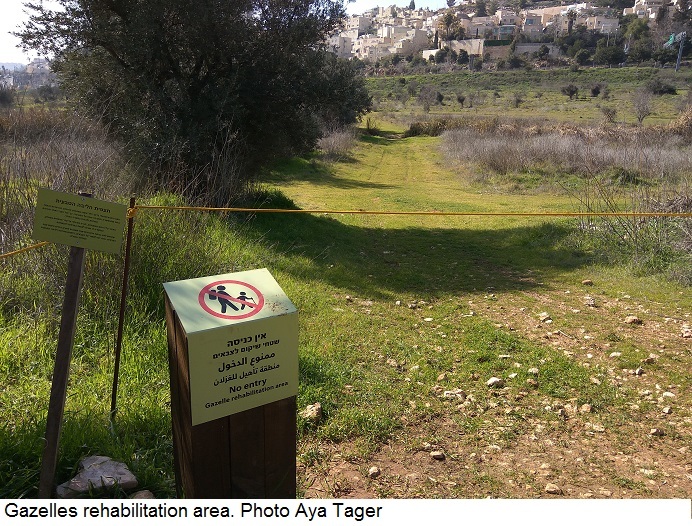 While I’ve been to Gazelle Valley Park in Jerusalem countless times, I always discover something new with every visit. 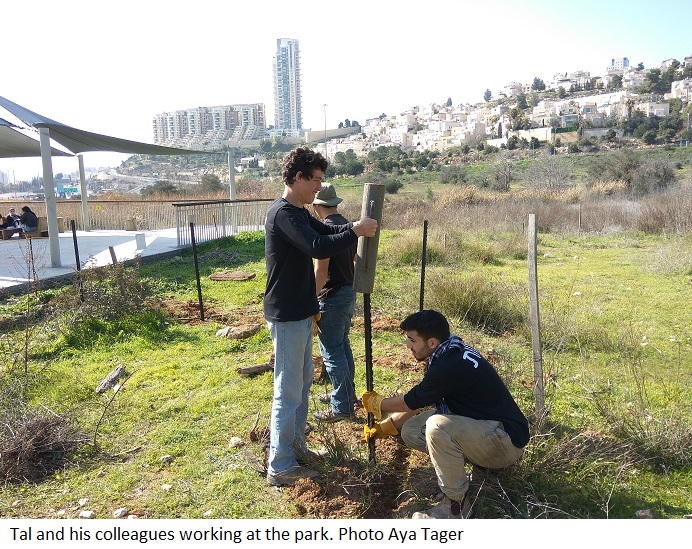 The dedicated team that tends to the park constantly adds new features and launches interactive nature education activities, including the cultivation of heirloom seeds of nearly extinct Israeli flora, hosting a local kindergarten in a teepee tent for lunchtime gatherings and so much more. 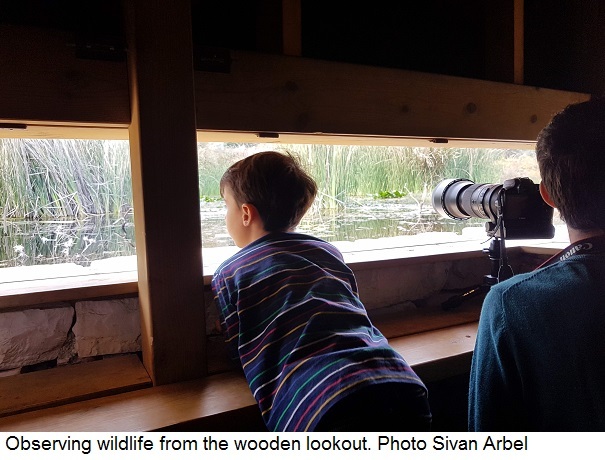 One of the newest additions is an attractive wooden hideout constructed next to one of the park’s five water pools, allowing visitors to observe birds and other wildlife that frequent the pool without disturbing them or scaring them off. 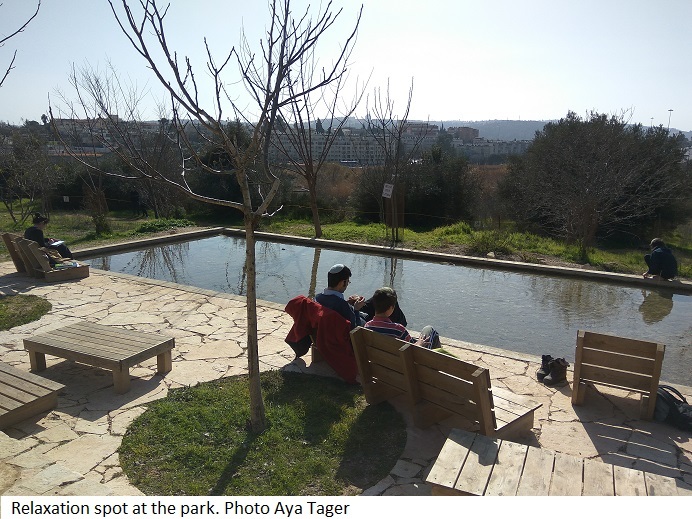 It’s truly incredible how much the park has grown and developed in just a few short years and how many visitors have come from near and far to see this shining example of sustainability and conservation in the heart of bustling Jerusalem. 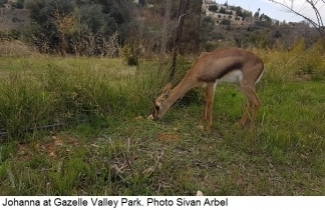 Now home to more than 35 gazelles and many other wildlife species and native plants, Gazelle Valley Park was established in 2015 by the Jerusalem Municipality and SPNI, with the support of the Jerusalem Fund, following a long public campaign spearheaded by SPNI to preserve this unique habitat and sanctuary. The park has also become a fascinating social hub, attracting volunteers, school children, tourists, and nature lovers of all ages and walks of life. During a recent visit to the park, I got a glimpse of the work being done by the SPNI team behind the scenes and also had the pleasure of meeting team member Tal Roganski, a young adult with special needs who guided me through the park while sharing his personal story. Tal first became acquainted with the park during a field trip with a school for youth with special needs called Shikum Noar. The school works in cooperation with agriculture farms, carpentry workshops, and nature conservation projects like the Gazelle Valley Park to empower the students via chaperoned tasks meant to improve their communication and teamwork skills, nurture responsibility and increase independence. Tal and a group of his peers joined students from previous years who were already enrolled in the program and started coming to the park once a week to assist the staff with maintenance work, like fencing and cleaning. Tal quickly fell in love with the park and the SPNI team, who were equally fond of him. While most wild gazelles are naturally timid around humans and instinctively keep their distance, Johanna’s previous interactions with humans made her unafraid of making contact and would occasionally attack or ram Tal and some of the visitors for no reason and without provocation. As can be expected, this caused the park’s staff great concern, and Tal was reluctant to work independently or too far from the park's main office in fear of Johanna's unpredictable behavior.The only dissenter was Johanna, a female gazelle that had been illegally captured and raised by people and was rescued and brought to the park for rehabilitation. Amir Balaban, SPNI’s Director of Urban Nature, and Yael Hamerman-Soler, Director of Gazelle Valley Park, decided to embrace the opportunity and test an incredible new approach. Instead of distancing Johanna from the public or removing her from the park altogether, they developed a program for mutual development. The park’s team trained Tal to scare Johanna off by waving a stick or clapping his hands in order to be perceived as a threat (without actually being one, of course) and compel her to retreat, as a wild gazelle would normally do under such circumstances. After several tense interactions, this approach proved effective, and Johanna ceased her attacks almost completely. And after Johanna learned to keep her distance, Tal was able to return to his tasks around the park. Yael reports that Johanna's progress didn't stop there, as it also manifested in her attitude to her fawns. Less than a year after she was brought to the park, Johanna gave birth to her first fawn and abandoned it immediately. Luckily, the fawn was adopted and nursed by another female from the herd. When her second fawn was born, the park’s team began to see the first signs of transformation – she nursed it, though with less care than is typically demonstrated by normative gazelles. Johanna appears to have bonded even more with her third fawn, which was born recently, and the team has been monitoring her advancement with cautious optimism. At the conclusion of his volunteering program, Tal was eager to continue working at the park and further enhance his personal growth. With the help of Naomi Sapir, the Occupational Therapist at Shikum Noar responsible for finding placements for the school's graduates, Tal submitted a request to join a civil-service program as a staff member, a path paved with many obstacles, bureaucratic and otherwise. Together with his advocates from school and the park, Tal turned to "Bat-Ami," an NGO that facilitates civil-service programs. The initiative was a success, and Tal was accepted to a two-year program. Tal now works at Gazelle Valley Park five days a week alongside the staff, and whenever students from Shikum Noar visit the park to volunteer, he is called upon to serve as a guide for the younger students. "Working at the park is different than volunteering. It has taught me a lot about adult life, including how to develop professional relationships, the importance of taking responsibility and completing tasks, and how to make new friends,” says Tal, reflecting on his experience in the civil service program thus far. “I'll never forget my first day as a team member! The Gazelle Valley Park made me realize how much I enjoy nature-oriented outdoor work, and I would like to continue working in this type of environment for a long time – it's just great". When thanking Tal for showing me around, I asked him if there is someone special that he would like to host at the park. Tal said that he is looking forward to hosting his girlfriend from school so that he can share his love for this natural gem with her. Thanks to the generous support of private donors, funds and organizations across the country and around the globe, Gazelle Valley Park continues to grow and innovate, allowing amazing individuals like Tal to fall in love with nature and learn so much about themselves.